Tidus’ comrade and one of the most distinguished guardians in Spira. He served as High Summoner Braska’s guardian with the aid of Jecht. His past has shaped him immensely which makes him aware of the course of the events. The guardian is a class similar to warriors in other Final Fantasy titles. They possess remarkable physical attributes and equip melee weapons. Auron fits this category since he specializes in wielding two-handed swords. His initial stats also fall under the class since he has a large amount of HP and Strength, while maintaining decent Magic and Magic Defense. 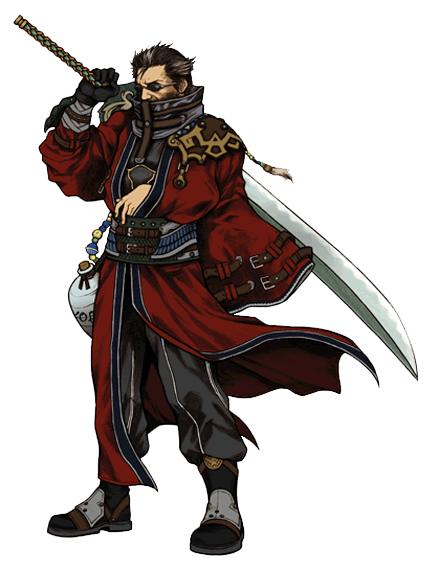 As one of the new warriors introduced, Auron also gains abilities that cast debuff against enemies which were nonexistent to the class in previous titles. Guard/Sentinel The affected enemy will only attack the party member that used this skill. Only applicable for an enemy’s single target physical damage. When Overdrive is active, a timer will appear. You need to input the correct sequence of buttons before time runs out to maximize Auron’s damage.